Wendy has played an integral role in the life of the Parsons Foundation, becoming President and CEO in 2008 after working for the Foundation for more than twenty years. Prior to joining the Parsons Foundation, Wendy was Executive Director of the Los Angeles Child Care and Development Council, Program Manager at Children’s Home Society of Orange County, and founding staff member of the children’s nonprofit Crystal Stairs. She has served on the founding board of the Broad Stage and board of The Trusteeship, the local affiliate of the International Women’s Forum. As a member of the Women’s Leadership Board at the Harvard Kennedy School, she traveled with delegations to Egypt and South Africa. She currently serves on the advisory board of the Center for Philanthropy and Public Policy at USC. She is Vice Chair of the Los Angeles County Commission for Children and Families and the State of California commission Volunteer California. She is on the board and is the Immediate Past-Chair of Southern California Grantmakers, a regional association of 300+ foundations, corporations, government grantmakers and philanthropic advisors that is a leadership hub for members, helping them to connect, learn and act independently and collaboratively to increase the impact of philanthropy. 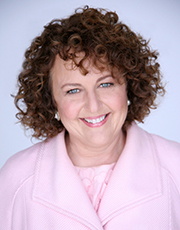 Wendy is a frequent speaker and panelist at local and national meetings for philanthropy. She is a graduate of the University of Illinois and has a master’s in urban planning from UCLA.